Our gym is open 24/7. Our centre, which is already open seven days a week, is among the first YMCA Victoria managed gyms to undergo refitting for conversion to the 24 hour format. Having flexible choices is now a way of life, especially for time-poor people, so we are offering more flexibility to our members. This exciting development means that we will be able to offer members the ability to break down the barrier of time and ensure that they have every opportunity to reach their health and fitness goals at Endeavour Hills Leisure Centre. At the YMCA, we aim to help people become healthier and happier so removing barriers to entry and providing options that suit all lifestyles is important. As part of our 24/7 format, members will be required to complete an induction process before being able to access the centre when staff are not available. The induction process will be done online and members will be invited shortly to complete the induction process. To get you started, we have compiled some Frequently Asked Questions (FAQ) below. If you would like any other further information not listed on our FAQ or are interested in becoming a member at Endeavour Hills Leisure Centre, please call us on 9213 1400, join online or fill out the enquiry form and a member of our staff will be in contact with you shortly. Already a member and want to have 24/7 access? Click here and complete our 24/7 induction. Once completed your membership will be rolled over to a 24/7 membership within 3 working days. * Our aim to have the gym open for the maximum amount of time. Due to Women’s Only Swimming at Casey RACE there will be a two hour period, each Saturday evening between 8pm - 10pm, when Casey RACE will have restricted access and be available for women only. Why has Endeavour Hills Leisure Centre introduced 24/7 access to its health club? Over the past few years the demand for 24/7 access from members has increased, reflecting a society that is leading busier lifestyles with greater demands on their time. 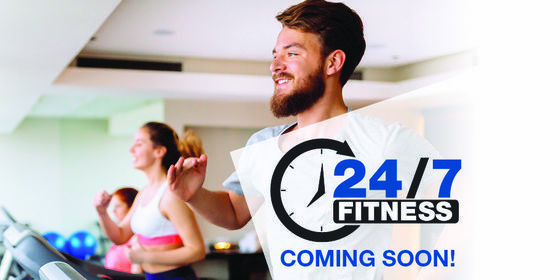 Providing 24 hour access will ensure our members can exercise at a time that suits them. The YMCA’s mission is to help people become healthier and happier, and it is important that we continue to improve accessibility to our facilities and provide options to suit all lifestyles. Which memberships include the ability to gain 24/7 access? 24/7 access can be gained on all Health and Wellness memberships, including concession and family memberships. 24/7 access is not available on Aquatic Memberships. You must be 18 years or older. How will I gain access to the 24/7 gym? Members wishing to use the health club outside of regular staffed hours will be required to complete a 24/7 access induction online . Upon completion of the online induction you should have 24/7 gym access within 3 business days. This does not happen immediately. You will receive an email once your membership has been activated. Once done, your wristband can be used to access the centre using the scanner at the main entrance to open the doors outside of regular opening hours. Until an induction has been done and processed, you will not have access to 24/7. Inductions can be done online shortly. Members will be invited to complete the induction by email. NB. You cannot gain access to the facility using another member's membership. What facilities will I have access to outside of regular staffed hours? The facilities available include the gym and health club change rooms. You will not have access to the pools, group fitness room or cycle studio. What are the staffed hours? Can the pools be used 24/7 at Casey RACE? No, the pools cannot be used outside of staffed hours. There will be no changes to the opening times for the pools. The doors to the pool area will be locked as per the regular closing times to prevent access to the pools. What safety measures are in place for members using the facilities during non-staffed hours? A state of the art security surveillance system is in place. Duress buttons will contact the control room who will arrange for emergency assistance. Mobile duress buttons are available to be worn while working out or using the change rooms. A first aid station, including a defibrillator, is provided in the gym. The member induction process for 24/7 access ensures members understand and agree to comply with safety requirements and emergency procedures. Will the introduction of 24/7 access increase my membership fees, or is there an additional cost? There will be no increases to membership prices related to 24/7 health club access. Will there be any staff working outside of the current opening hours? No. As is the case with other 24/7 health clubs, the centre will not be staffed outside of the regular opening hours. Will the gym be inaccessible at any time? There will be a two hour period, each Saturday evening between 8pm - 10pm when the centre will have restricted access for women only. This is to fit in with the Women's Only Swimming done at the centre at the same time. What if I don’t want 24/7 access? You don’t need to do anything. Just continue using your membership within the regular opening hours. When will the gym go 24/7? We are working to open the gym 24/7 as soon as possible. When we get a firm date we will communicate this with you via our website, email and Facebook page. What if I can't access the gym outside of staffed hours? There are a number of reasons why this may be the case. Please contact Endeavour Hills Leisure Centre on 9213 1400 or Casey RACE on 5990 8600 during staffed hours or visit us in centre to resolve any issues. Why isn't Casey ARC going 24/7? We are trialling 24/7 with Endeavour Hills Leisure Centre and Casey RACE and will consider Casey ARC in the future.